The PGx Centre expertise relies on the knowledge of a highly talented multidisciplinary team. Interacting cores include statistical genetics, the genomics laboratory and the bioinformatics core, which are supported by dedicated personnel in project management, quality assurance and administration. The PGx Centre stands out by its hands-on collaborative approach to study design and to genomic services. 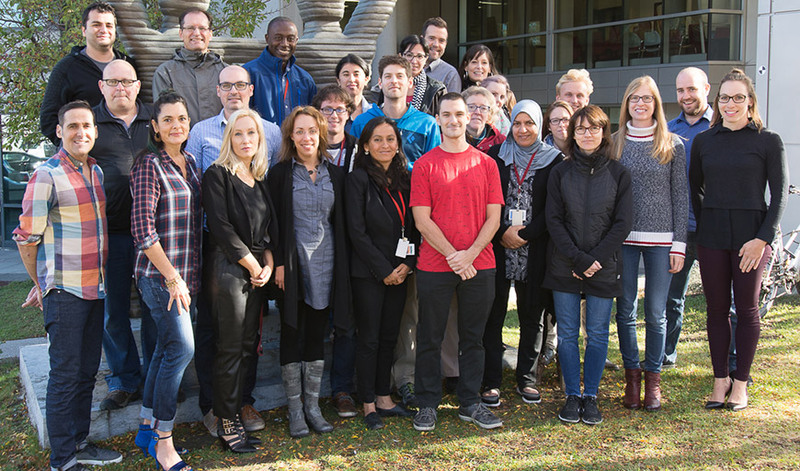 The PGx Centre team is specialized in the conduct of genomic research projects that generate knowledge and discoveries in personalized medicine. Its employees work in close collaboration to provide integrated services which include comprehensive project management, study design and validation, statistical genetics, customized genomics, bioinformatics, reporting and scientific manuscript assistance. Furthermore, the team produces comprehensive documentation that ensures the rapid translation of research findings. © 2019 Pharmacogenomics Center Beaulieu-Saucier. All rights reserved.